Any regular reader of this blog will know that I am a huge fan of quirky nails, but don't have the skills to create nail art myself. Too clumsly and very shaky handed, a single coat of polish is usually all I can manage, before the un-coordinated part of me takes over and makes me flail polish all over the place. So to get the mani's of my dreams, I always head to Elegant Touch to get some of the most original flase nails and nail products out there. 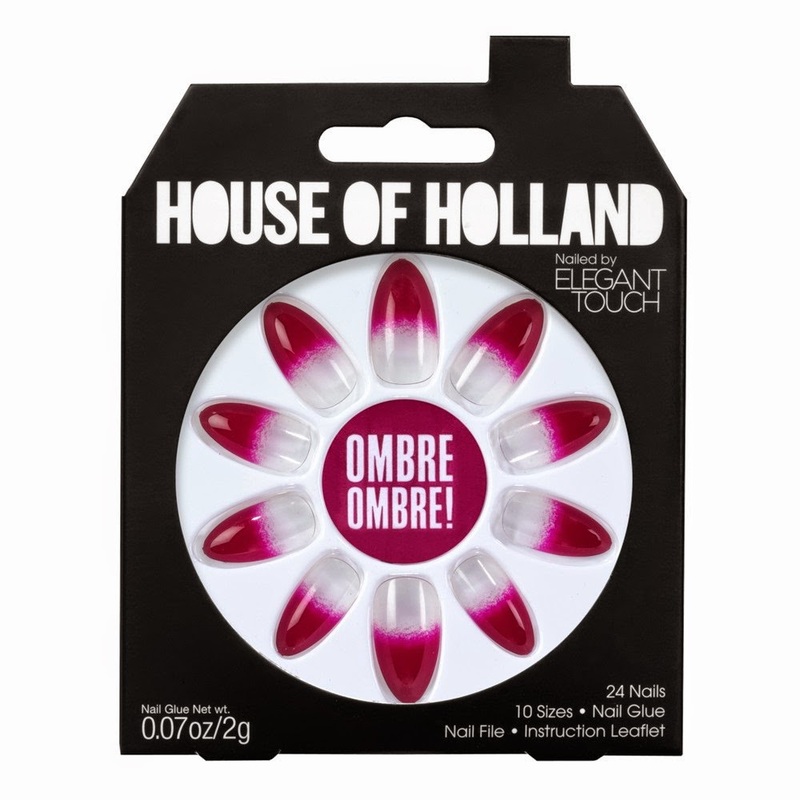 Easy to apply and easy to love, their glue false nails are my go to beauty product when I need a bit of a boost, and I am particularly fond of the House of Holland collection, for something extra fun. I was so delighted when Collection III with House of Holland was re;eased recently, and I am tempted to say it could be the finest collection yet. Full of bold colours, modern shapes and on-trend designs, the collection is a nail art lovers dream. I just had to try the gorgeous stilletto Ombre Ombre nails, I knew I just had to get them on my fingers as soon as possible. I mean how lovely are they, plus I am obsessed with all things ombre - giving the dip dye look to my hair was one of the best thing I have ever done. Of course I need ombre nails to match and I love how these nails are clear at the bottom to give an authentic effect. All trimmed for working and still fabulous!! Prices range from £7.99 to £8.99 and for a cool manicure that is going to last for a week, I think that is a bargain. *Nails provided by Elegant Touch for the purpose of this review, all opinions are my own. These look fab Gem, love the colour of them. Love the ones you picked and those black and gold ones so have our names on them! I love how those are half on/half off - never seen that design before. I am loving those polka dot ones, SO cute! Hope you're having a great day! Wow!! I've never heard of these before but they look amazing! I must get my hands on them <3 The "Ghetto Gold" looks so fab!!! 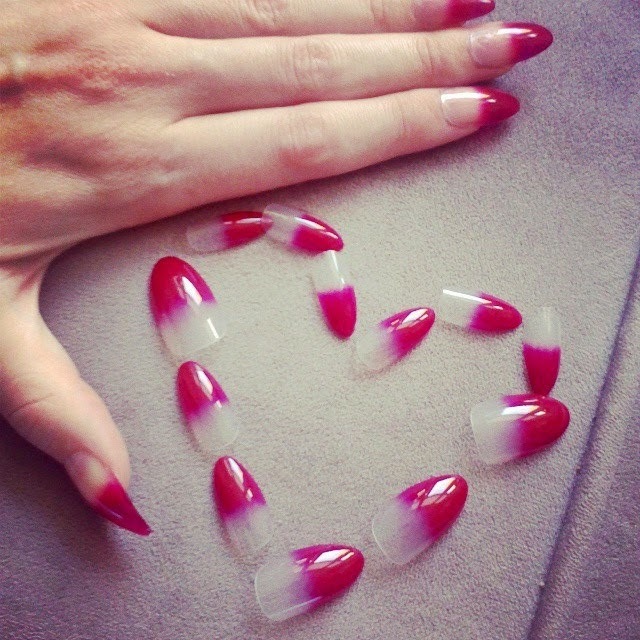 Stiletto nails are my favourite and I love the ombré look, these are great!